Dare I say rice cooker and paella in the same sentence! That’s right, a simple way to make paella where you won’t need to slave over the stove top. 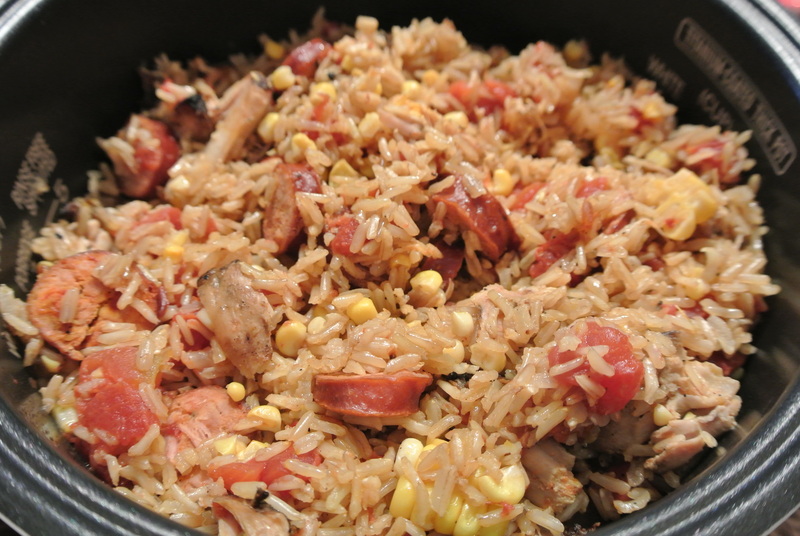 My fellow teammate on my dragonboat team JS casually mentioned a family dish for which he adapted the recipe, instead of making paella the traditional way, him and his wife make it in a rice cooker! 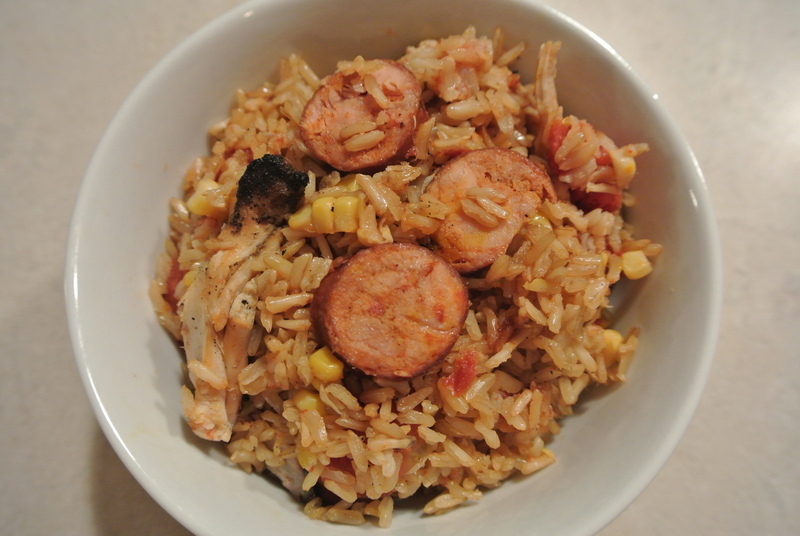 And instead of the usual short grain white rice he uses basmati otherwise, all the traditional ingredients are used. So, when it came to trying this out, I made some adjustments as well. 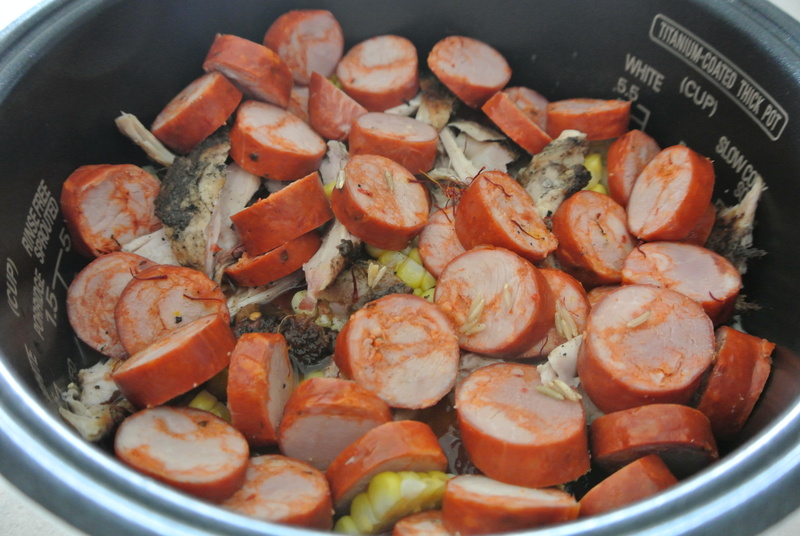 I used leftover rotisserie chicken, chorizo, fresh corn (that I steamed and then cut from the cob), canned diced tomatoes, saffron and chicken stock. Along with basmati rice, I threw everything into the rice cooker, pressed the button and walked away! And 40 minutes later voila, paella! Now, I’m not saying this was the best paella I’ve had (that was in Barcelona) but it was pretty tasty! I’m definitely storing this recipe as one of my arrows in my quiver – I’ll be making this one again! Thanks for a great recipe JS! 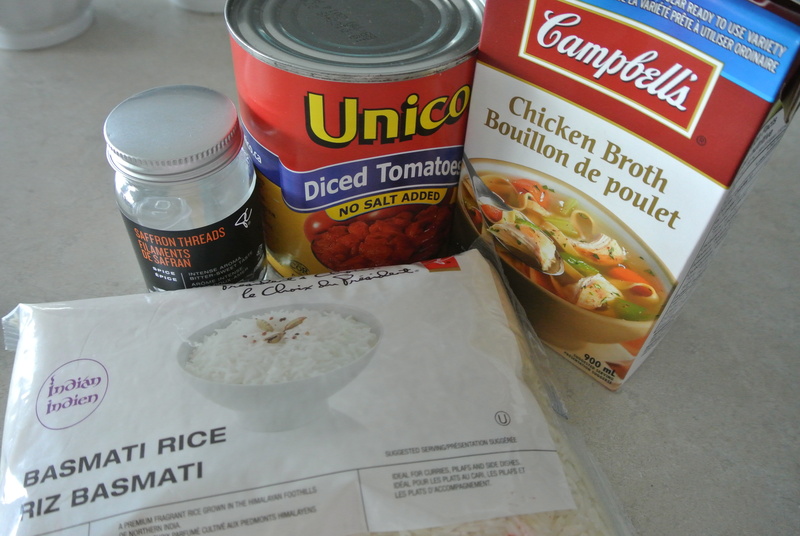 My ingredients for the Paella – Saffron, diced tomatoes, chicken broth and basmati rice. 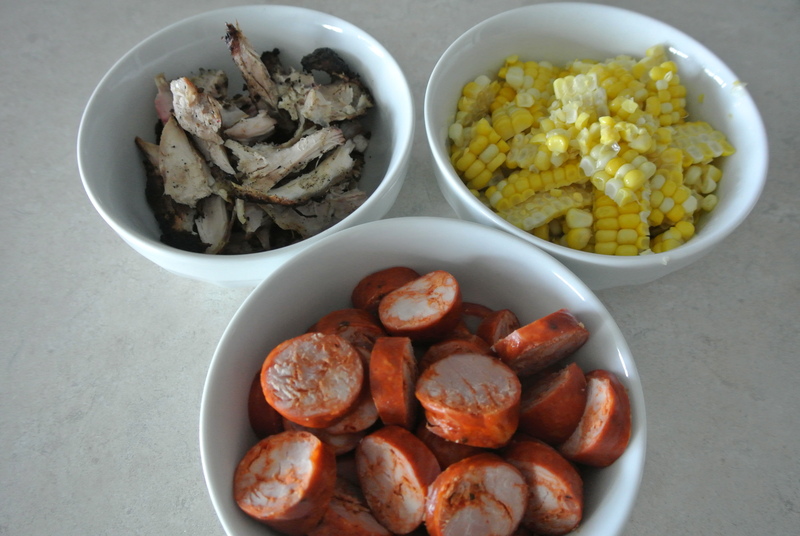 Leftover rotisserie chicken, chorizo and fresh corn. Before: in the rice cooker.